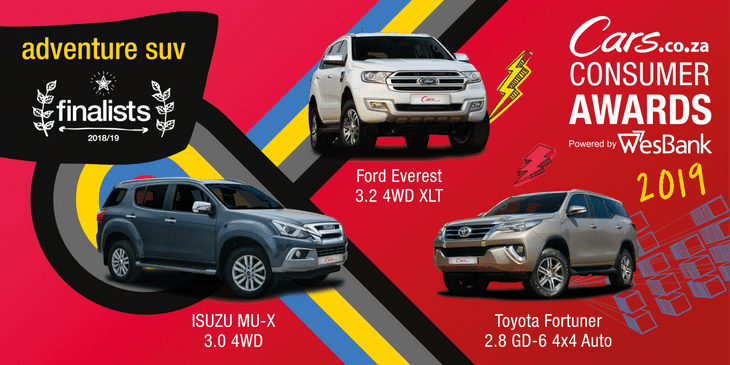 Meet the finalists in the Adventure SUV category of the 2018/19 Cars.co.za Consumer Awards – powered by WesBank! 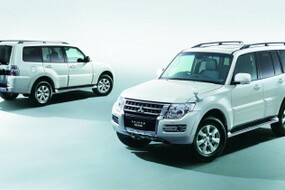 The Adventure SUV category is guided by both eligibility factors and Pillars of Success. 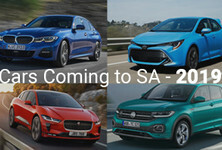 Eligibility factors include a listed price between R550 000 and R700 000 at the time of semi-finalist voting (September 1, 2018), including the cost of all necessary optional extras. 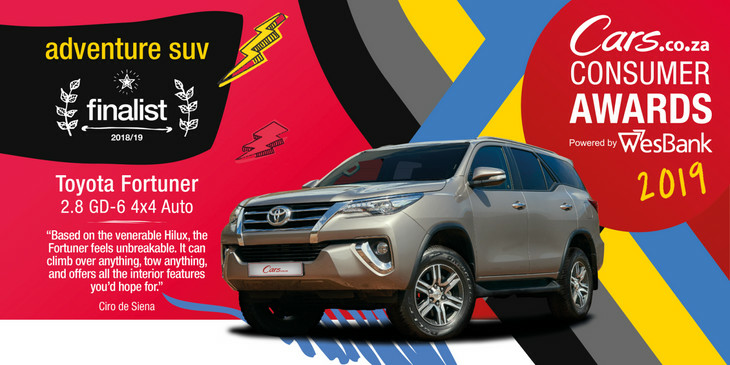 Necessary features include electronic stability control (ESC), 6 airbags (minimum), split/fold rear seats, minimum 200 mm ground clearance and all-wheel drive. 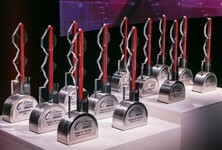 Pillars of Success for this category include performance, space and practicality, in-car entertainment, comfort and all-surface ability. 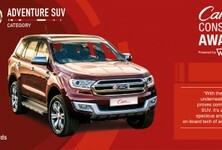 Ford’s Everest is a spacious, well-specified and capable 7-seater variant of the locally-produced Ranger bakkie. 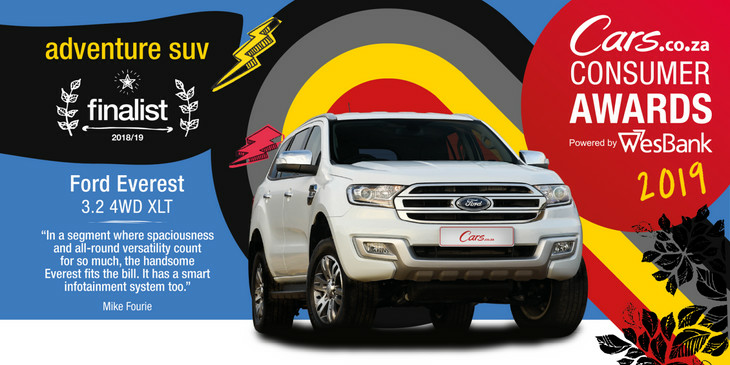 South Africans have a love affair with large, rugged SUVs and Ford has served up exactly what they’ve been asking for… a macho, versatile machine that can tackle the rough stuff and transport a large family in comfort. 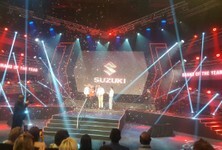 The MU-X is Isuzu’s first new offering since the Japanese marque became independent from the (now departed) General Motors in the South African market. 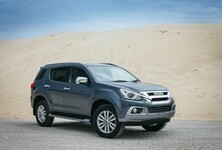 The newcomer is effectively a Chevrolet Trailblazer under the skin, but has the D-Max’s bulletproof turbodiesel engine under its bonnet. 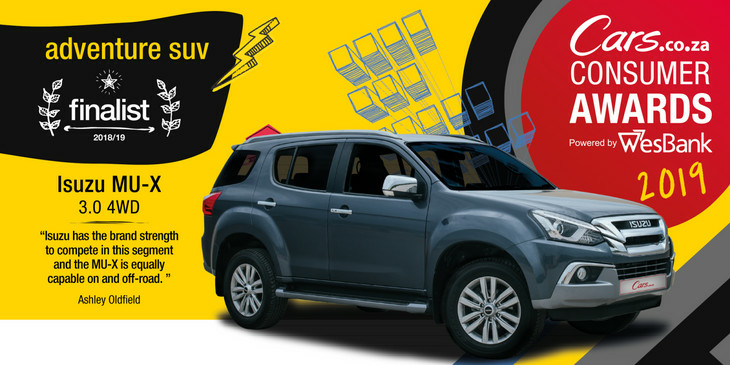 Renowned for excellent after-sales service and reliability, Isuzu is also one of the most respected brands in SA. Do you own an Isuzu? Have your say and complete our Ownership Satisfaction Survey! 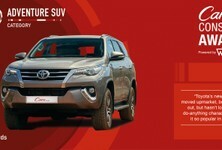 The Toyota Fortuner is one of the country’s most-loved vehicles. It continues its predecessor’s winning recipe of ruggedness and versatility, but adds a generous helping of sophistication, style, refinement and technology into the mix. Do you own a Toyota? Have your say and complete our Ownership Satisfaction Survey!